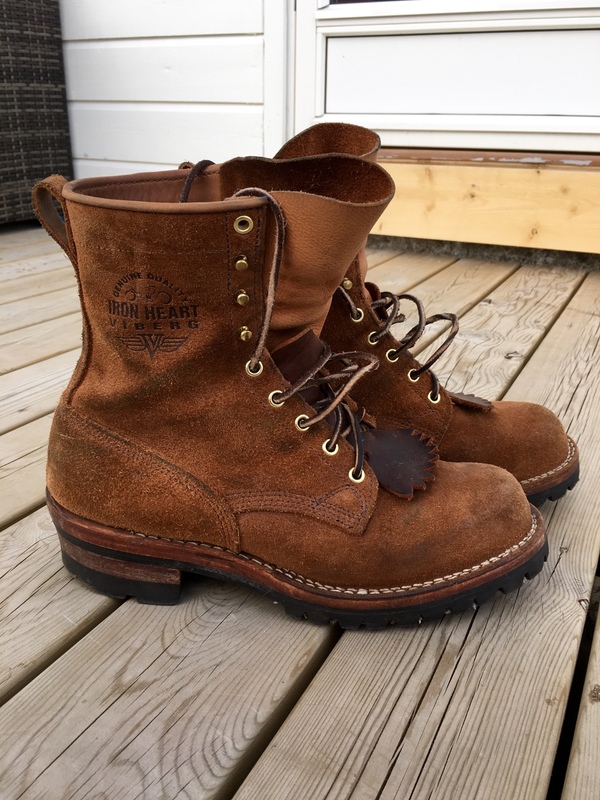 IHVB-03CT - Iron Heart/Viberg 8" Smoke Jumper - Reverse-out "Copper Task"
These chaps have seen everyday use through an arctic winter and are currently employed as hiking boots during the arctic summer. I love them like they were my children. 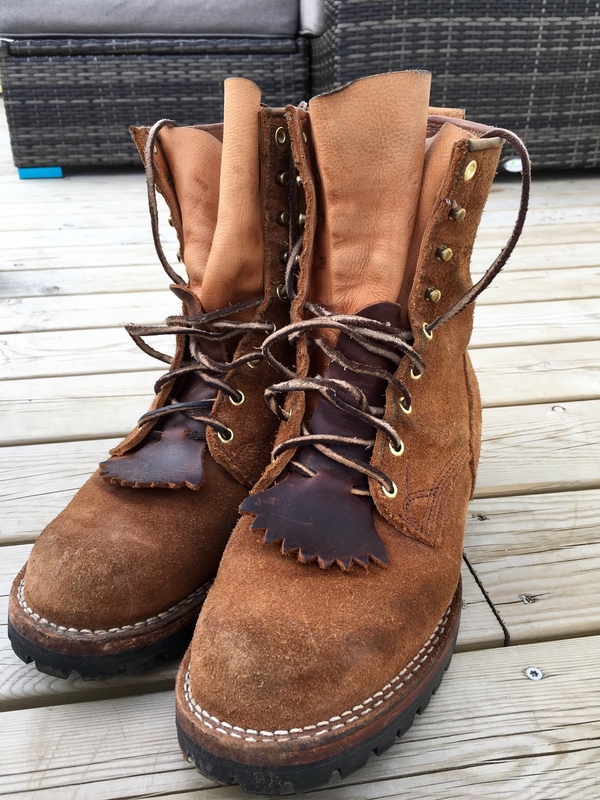 Re: IHVB-03CT - Iron Heart/Viberg 8" Smoke Jumper - Reverse-out "Copper Task"
Nice boots. Before my time around here (I think) or else I would've considered these. Mate, they are great. I copped them 2nd hand and nearly new from tmg and never looked back. 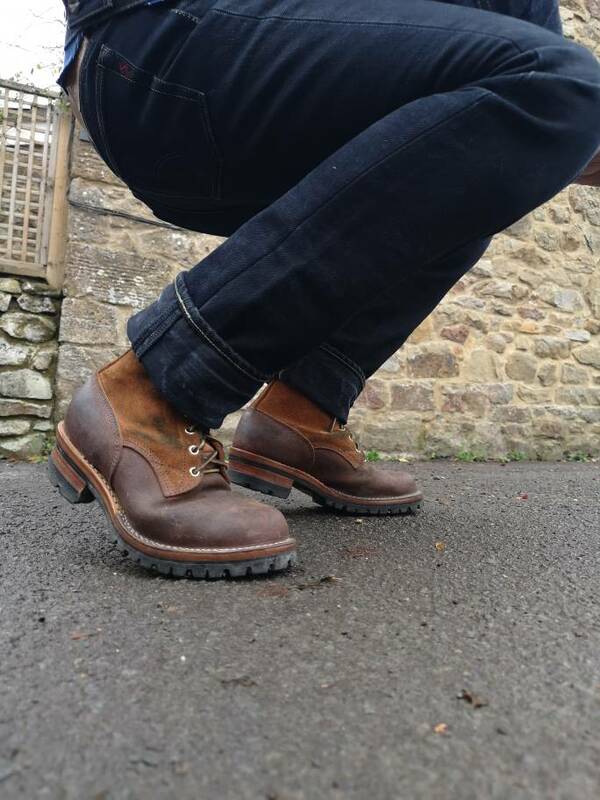 I've a pair of Wesco custom Boss on order through Giles, and if they are half as well made as these I'll still be happy. I'm sure the Wesco's will be just as nice! 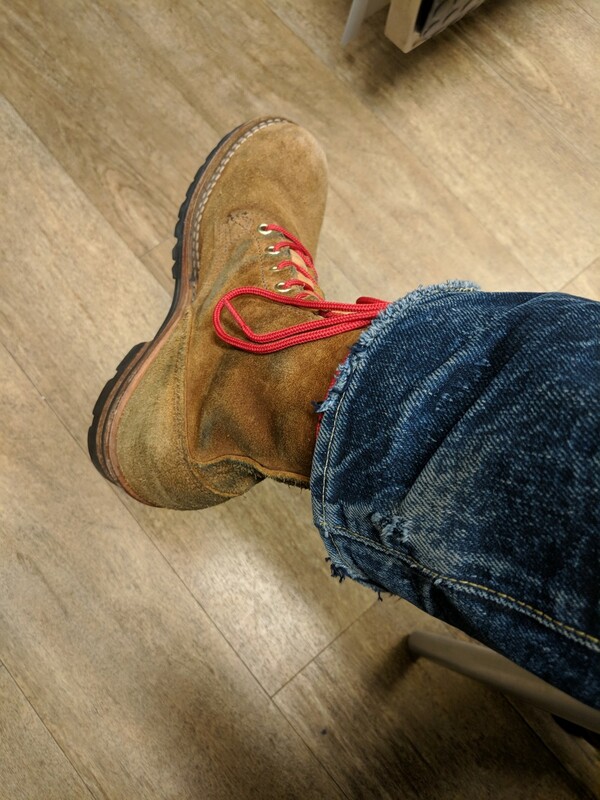 Got a pair of Viberg boondockers headed my way, I wish the partnership with IH didn't die but Wesco seems to be making some great boots too. Seems to me Viberg have started courting a different more high fashion audience to IH and that Wesco are a better fit for IH as a brand. That being said I've always liked the look of the boondockers a lot. 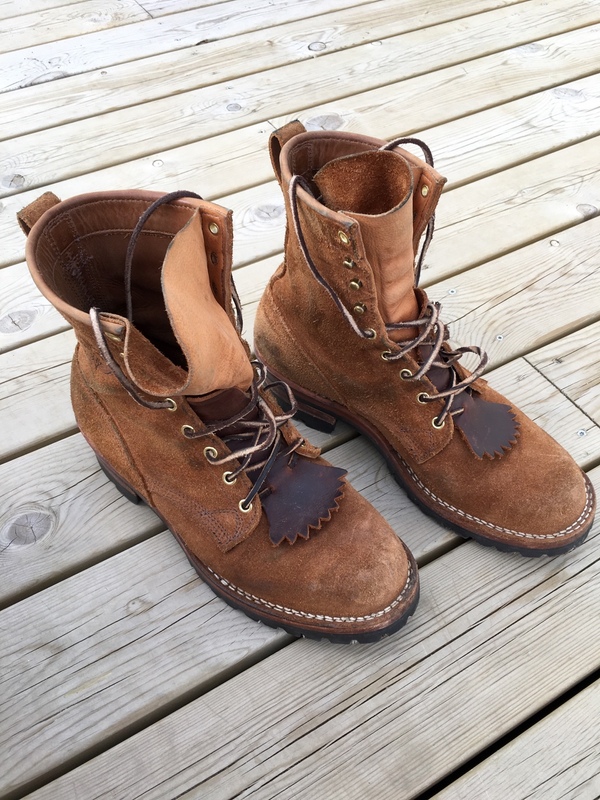 True, and the Viberg makeups that I am drawn towards are always the more rugged like the Boondocker. Surely I'll have a pair of Wesco boots sometime soon as well! 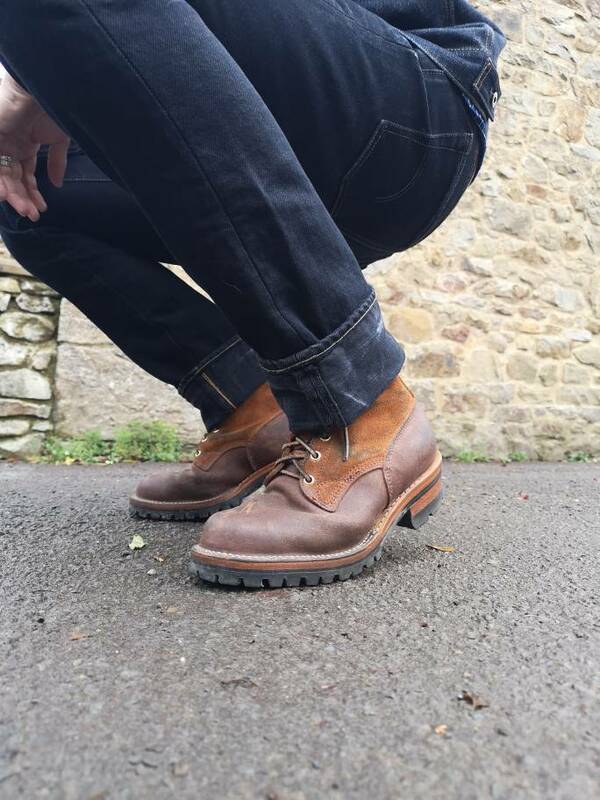 Every time I see these boots I wish I'd known about Iron Heart earlier in my life, very nice indeed.. These are 8.5 (fit my US9.5D feet perfectly) and are technically for sale because I have some oxfords in a very similar roughout leather, though I am thinking about just keeping them. Viberg has gone so far towards delicate dress boots and even slippers and sneakers that burly boots like this that came from the Victoria workshop seem to be a dying breed. And me...always when I see them I fall back in love!